Hi, I'm Justine, aka The Thistle & The Rose Florist! In early 2016, I finally ventured out on my own and The Thistle & The Rose Florist opened for business in Oban! I love what I do and am committed to ongoing training to progress my skills and recently completed an Advanced Bridal Flower Course with the prestigious Covent Garden Academy of Flowers in London. This was a truly inspirational experience working with professional and experienced tutors who are renowned in the flower design industry and this has certainly brought a new dimension to my Bridal work. I am dedicated to providing my much valued customers with a premium floral product and customer service of the highest standard. Our flowers are purchased directly from the renowned Dutch flower market which ensures that the flowers are beautifully fresh and of a high quality grade. Why order from The Thistle & The Rose Florist? This is more than just a job, we just LOVE to create exclusive designs which we would be absolutely delighted to receive ourselves. 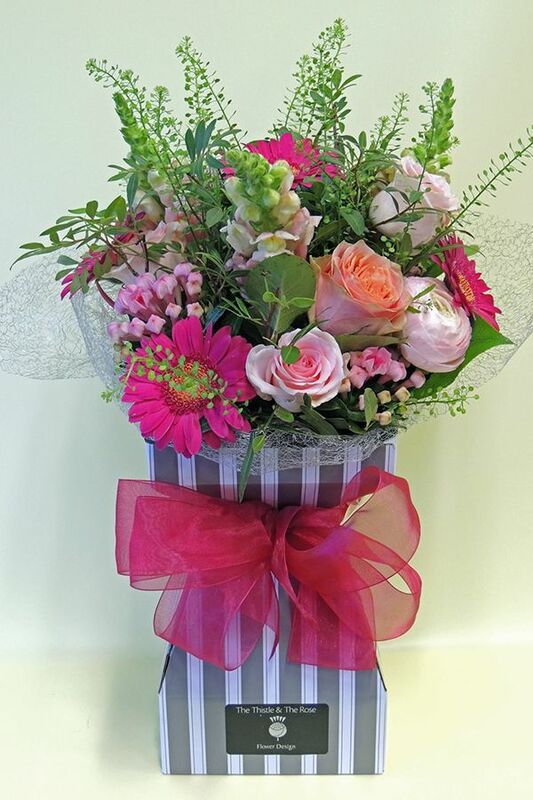 When you order with The Thistle & The Rose Florist we can guarantee that your order will be skilfully created, perfectly packaged and hand delivered by us with care. 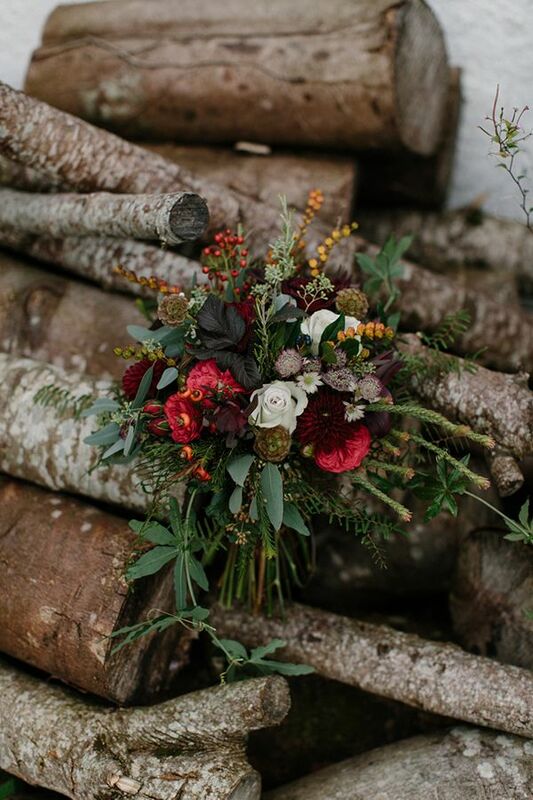 We believe that every flower design leaving our workshop should have the WOW factor. The Thistle & The Rose is an independent Florist, we don't belong to any relay services. This means that we aren't restricted in our design and ensures that our customers always get the most value for money when ordering directly with us rather than loosing money on costly relay commission fees.